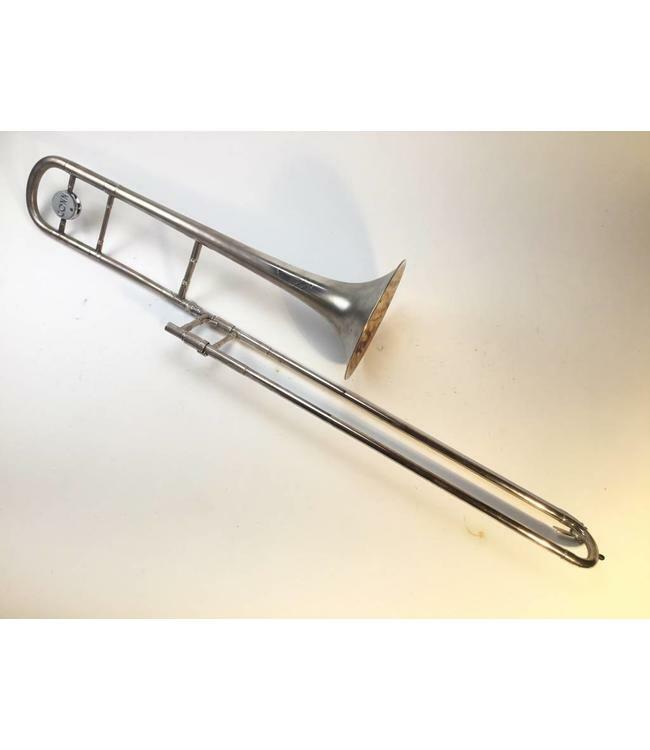 Used Conn "Elkhart" 8H Professional Bb Tenor Trombone in satin silver finish circa 1967. .547" bore, light weight nickel silver hand slide, 8.5" bell nickel silver plated bell flare. Instrument is in great condition especially for age with one very small ding in bell flare and evidence of very small ding repair in tuning slide. Instrument looks and play beautifully. Comes with original case.